BargainView: The Holiday’s don’t have to be expensive! Watching the winter fog rolls in this evening, makes Ms. M question, “Where did 2017 go?” and smile. I hope it’s been as good to you as it has been to moi. The holidays bring home the friends and family we haven’t seen most of the year and it’s wonderful to share all our hometown has to offer with them during the holiday season. 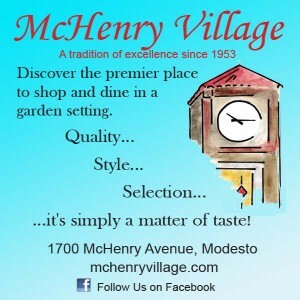 Here’s some ways to share that Modesto cheer without touching your Christmas budget. 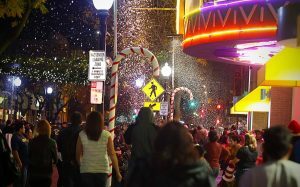 Modesto comes out every year to see the Rockin’ Holiday tree lighting, Celebration of Lights Parade and the Dickens Faire. Put on your walking shows on December 2nd; it’s going to be a busy day. Start at the Dickens Faire in front of the McHenry Mansion. Take a free tour through the mansion, grab a carriage ride and don’t forget the kettlecorn, and hot apple cider while you pick up gifts from local artisans and craftsmen. The theater is a great way to enjoy the holidays. Stop in this December to Moon & Sixpence Music and Art House and see Center Stage Conservatory’s production of Jacob Marley’s Christmas Carol; the story behind the tale of Scrooge from the perspective of Jacob Marley. This twist on an old classic breathes new life in to a Christmas favorite. Info: Dec 1st-17th. CSC 209-846-0179 for dates & times. Tickets: $15/students $10. Welcome in the New Year with some rock & roll at an All Ages Rockin event! Mod Spot hosts an all ages event for those who want to keep it fun, family friendly and still bring in the new year with a bang. VMI rocks will be hosting this safe rockin party and inviting some of their favorite rock bands to keep your toes tapping until the clock strikes Midnight. Mod Spot -1220 J Street. Call 209-200-8477. Happy Holidays and Happy New Year! Cheers to 2018! Kisses, m..